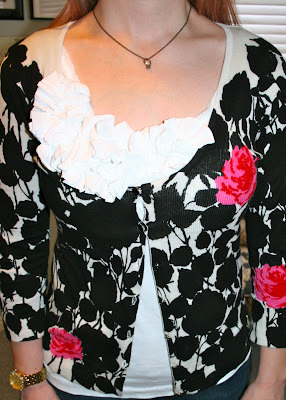 Tricia's Take: OOTD- Black and red flowers! Very cute! I love the little pops of red! Love the red accents on the cardi! Love the cardi and shoes! Oh I love it! I love it a lot! 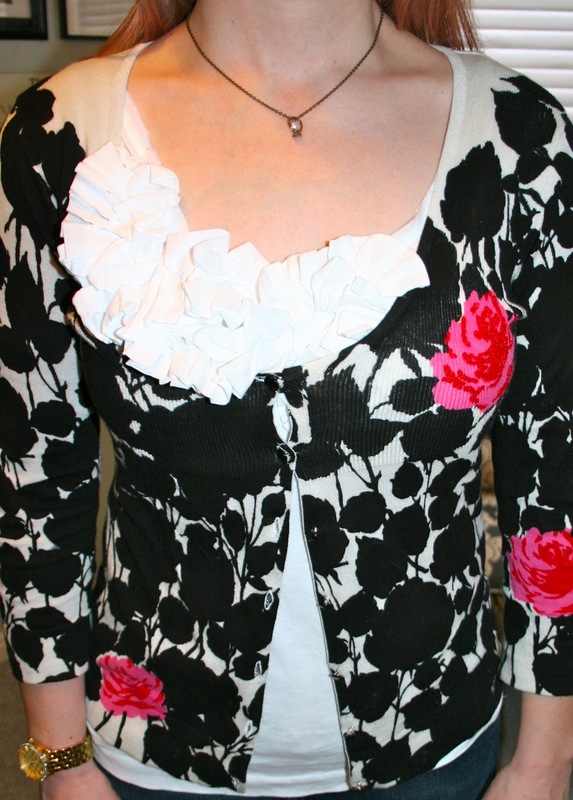 Such a gorgeous cardi with the pops of red and the ruffles and the red in the shoes, you just look awesome! What a great piece to pull from the closet!!! love the red and red shoes too!! You look beautiful! I love the pops of red from your cardi and shoes! I'm with you on loving all holidays - any excuse to have dinner and presents :) I picked up the Soldierly Sparkle and Woody Nymph Dress last week and I think you should indulge - they are both awesome pieces that are easy as can be! that cardi is missing from my life. it appeals to my feminine and my slightly gothic sensibilities. it's now on my list to copy.